Thanks to my mother-in-law, Julie, last summer, I decided to make a quilt. Funny thing - I still haven't made that quilt I had originally set out to make, but I have managed to make 3 other quilts, with plans and fabric for 3 more. This quilt is for my dear friend Keshet's sweet new baby - Happy Birthday little one! In Utah, is my favorite quilt store ever and I just happened to have planned a trip there anyway, so when I found out she had made her debut, I decided this would be the perfect reason to make a quilt :) Deciding on the fabric took me almost an hour - so many pretty things in that store. I was super excited about finishing this quilt, because I wanted to try out my new quilting foot that I had purchased a few months ago. Free form quilting is SO much fun! I was literally smiling while I was doodling all over the borders. 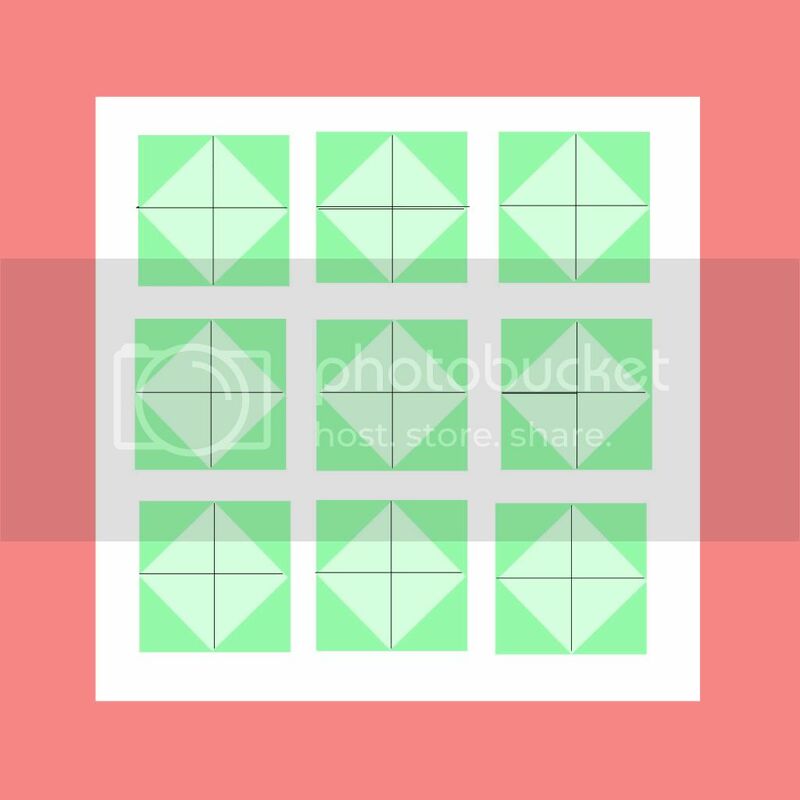 I drew up a simple pattern in photoshop for this quilt. The final quilt size is approximately 42" x 42". If you are interested in the step by step instructions, e-mail me at holly.humbert@gmail.com and I will send them over to you. The giveaway is still open until midnight tonight, so if you haven't entered, you can get in just under the wire. 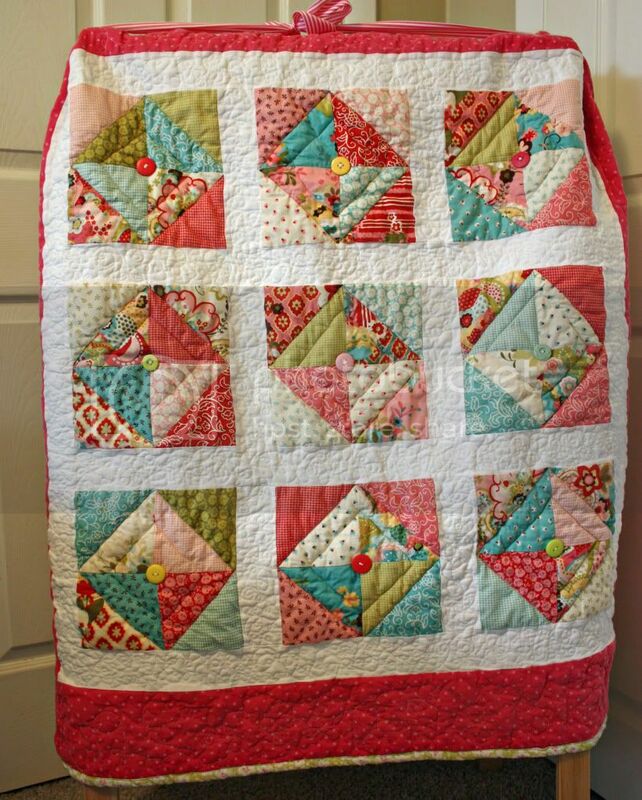 Love love love the quilt!! Colors are perfect! I'm sure the little baby will love it! Holly this quilt is stunning. I am sure Bunny and Keshet will just love it. I adore the colours you chose. You designed your OWN quilt and free-formed quilted it?!?!?!? WHOA!! Need I add more explanation points? Neither Mom or I have ever dared do either. . . I modified one pattern and it has proved disastrous. I need photoshop elements tutorials from you. :) And, free-form quilting ones too! Way to go Holly! Beautiful quilt, I am so impressed! how precious! my mom and grandmother used to quilt and i've always wanted to try it but haven't...yet! Seriously Holly, I keep coming to look at this--I just love it. I'm a charm pack hoarder...now I know what to do with them! 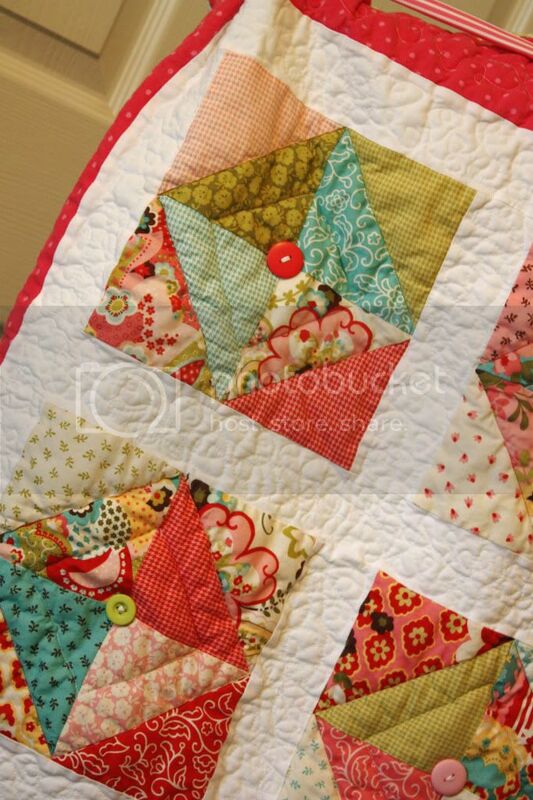 Thanks for sharing this...your quilt is beautiful!